If you would like to spend your holidays around the friendliest of people, whose aim is to provide for all of your needs during your time of relaxation and enjoyment, in a neat and unique atmosphere of calm, warmth and family fun, we at Nostos Studios happily welcome you. 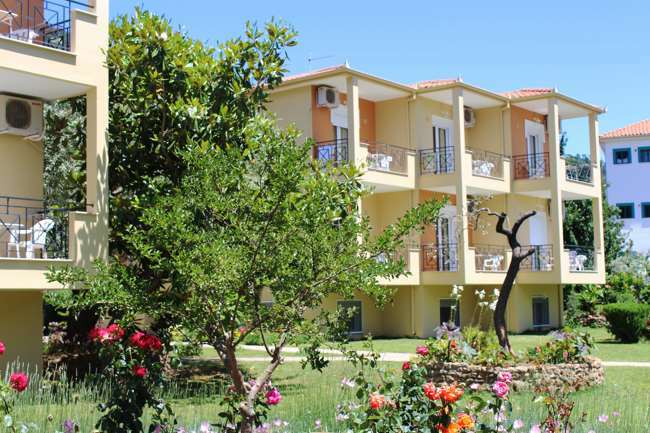 The beautifully decorated and spacious rooms of Nostos are surrounded by a large area with pine trees and olive trees, while they have Golden Beach -the most beautiful beach of Thassos, as a backdrop. Feel at home with us and let us take care of all your needs during your holidays on Thassos. We promise you a comfortable stay and an unforgettable experience. Come as a guest, and leave as a friend.